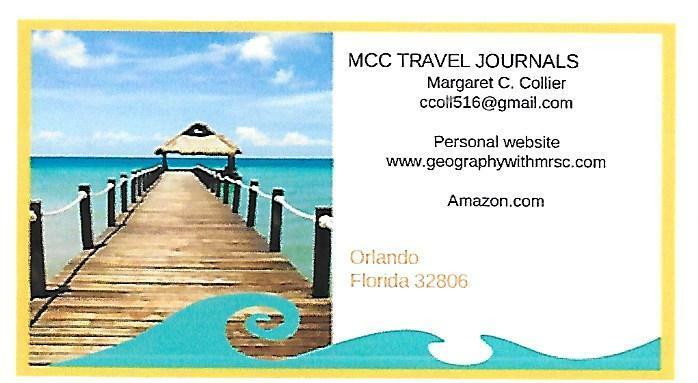 MCC TRAVEL JOURNALSS,LLC - 6th Grade "Geography With Mrs. C."
Travel is the world's best teacher! This is my business card for my book business MCC TRAVEL JOURNALS,LLC. My books about travel can be found on Amazon.com as well as Barnes and Noble.com. The publisher's book store also carries them at Xlibris.com They can be found in paperback, hardback, kindle or nook, new and used. The readability of the original eight books was for middle school students , 11 to 14, making it easier to understand the information. The books of the Dear Diana series are similar in their cover presentation using Marco Polo, an original animated penguin, on most of the covers and in some cases, they are in the interior of the book. My colleague, Mary T. Cook designed the covers and used the character in the books where warranted.The books are written by me and use personal photos from my journeys. I wrote them on a level that I felt would be of interest to struggling readers,ages 11-14 or middle school age. Before I retired from teaching, many of the students in my geography classes read what books I had written, Perhaps because they were personalized and on a level of their understanding, they enjoyed the task. ​Diana is the granddaughter of my very good friend and colleague, Alexandra Polupan. She resides in the Crimea area of Federated Russia but at the time I met her many years ago, it was still Ukraine. Diana is an exceptional young lady and when I decided to write about my travels I named the series after her. Travel is the best teacher in the world and she has already traveled a great deal in young life, learning many languages on the way. ​My many visits with her family over the years and the ability to work with teachers in their country, gave me the incentive to travel elsewhere and write about my travels, sharing information with them a from every trip. 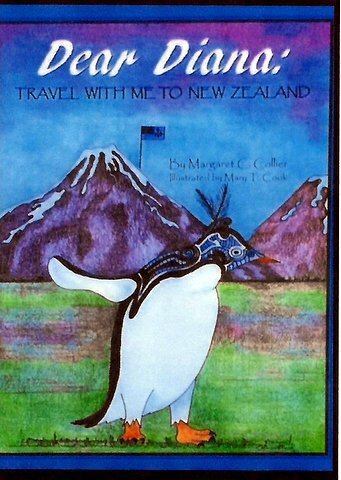 This book on New Zealand is an example of the series cover format.